Join us for an afternoon of hands-on art activities for the whole family! The event is inspired by our current exhibition. 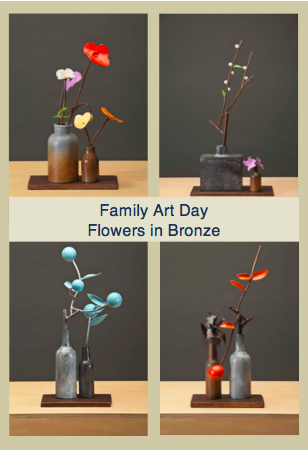 Children and their families will be able to come and create their own constructed still-life sculptures, using a variety of art media. The holiday season has begun. 'Tis the season to spend time with family, friends and loved ones. It is also the time of year that is notorious for indulging; spending, shopping and eating.With Black Friday over, now is a good time to reflect and give back. 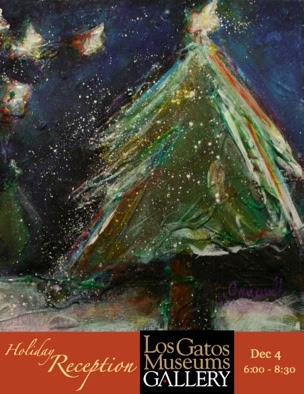 The New Museum Los Gatos and many other non-profits are participating in #Giving Tuesday. Please click the link below to see our #GivingTuesday page, and while you are there, take a look at the good work other non-profits are doing. We have successfully raised $165,000 in our Annual Campaign and are only $85,000 away from reaching our $250,000 goal. As a thank you to all who have contributed to our success over the years with a donation of Time, Talent or Treasure, the Art Museum will be offering a free day and extended hours. Please stop by for a visit and some holiday cheer and cookies!